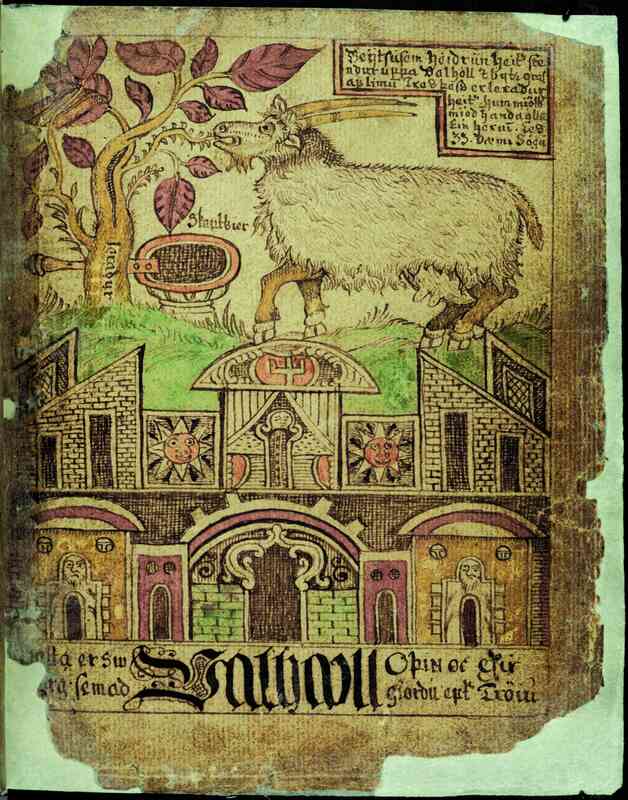 Description: The goat Heiðrún standing on the roof of Valhöll and eating the leaves of Læraðr. This scene is described in Gylfaginning in Snorri's Edda. - Óðinn´s hall where men who die in battle are taken to by the Valkyries. The goat who stands on the roof of Valhöll and eats the leaves of Læraðr. The tree that grows on the roof of Valhöll whose leaves are eaten by the goat named Heiðrún.